Hello , my name is Aaron May and I am 21 years old. My interest in animals and the countryside started when my mum bought me my first two chickens when I was 5 years old. I now work as a farm contractor, specialising in sheep and Alpaca sheering, lambing and any other general sheep work (Assisted by my Australian Kelpie Meg). 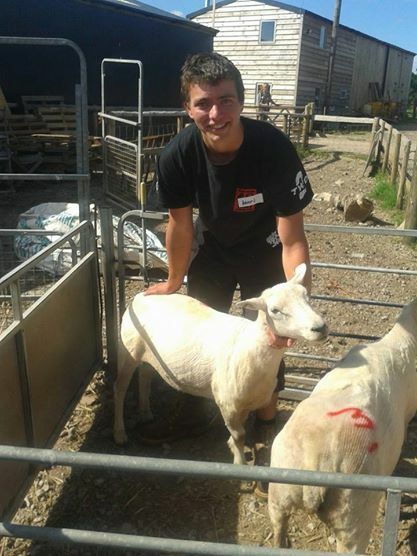 I have completed both Alpaca and sheep shearing courses , and have experience of shearing farmers and smallholders livestock, all over the UK. (Pembrokeshire, Lincolnshire , Kent , North Wales) . 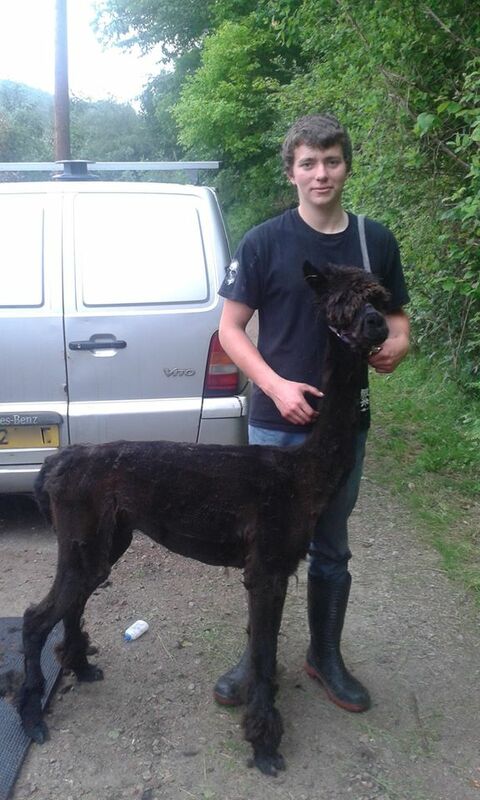 My Alpaca shearing course was taken at Pure Alpacas, Tirley, Gloucestershire and I help out the owners Hilary and Jay Holland during the Alpaca shearing season whenever they need assistance with their clients. 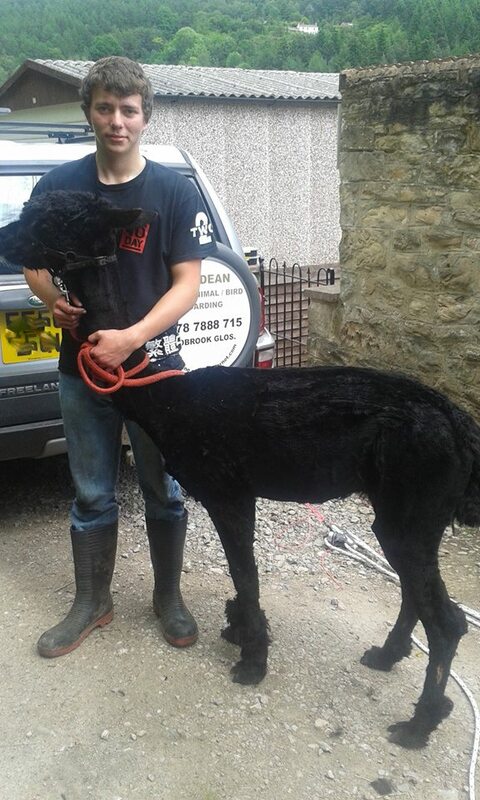 My sheep shearing course was completed at ‘Humble by Nature’ , (Kate Humbles farm near Monmouth). On the day I came in the top three for shearer of the day which I was very pleased about. 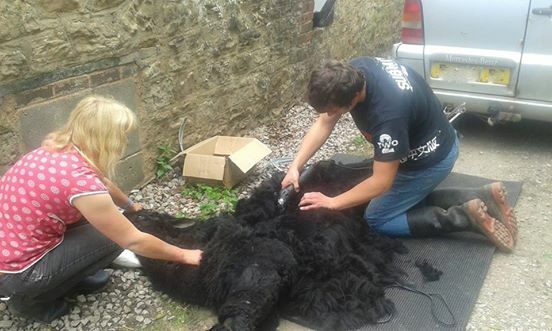 I offer a gentle shearing geared towards a stress free experience for everyone. I may not be the fastest shearer , but I do however care about doing a good job and I am also as bio security conscious as possible. I will handle your animals respectfully and gently placing them on a padded mat to minimise their stress levels. 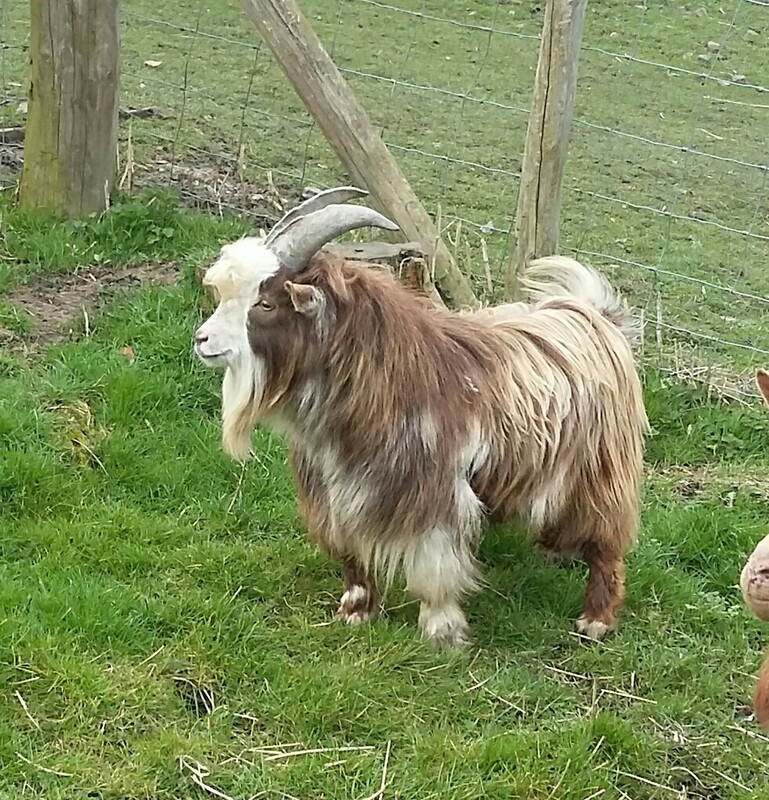 I am happy to travel any distance , but prices are dependent on the number of animals that need to be sheared and the location from my home address. It is important that you and your Alpaca or sheep are prepared for me as this will lead to the day going as smoothly as possible. So please clear your paddock about a week before shearing , to avoid twigs and burrs etc becoming entangled in the fleece. If you can keep your animals from rolling in their dust baths that would also be appreciated as the dust and sand etc can really damage the shearing blades. 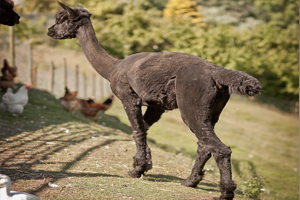 If it looks like it is going to rain , then where possible keep the alpaca or sheep in a dry , clean barn , as it is very difficult and not very pleasant to shear a wet animal. Sometime if they do get wet , the shearing will have to be postponed and a new date agreed. The area I work in will need to be flat and should be about 4 metres long by 2 metres wide. For Alpacas I would also need a post , or gate that I could secure my bungee ropes to. I would also need an electricity supply close by for my shears. 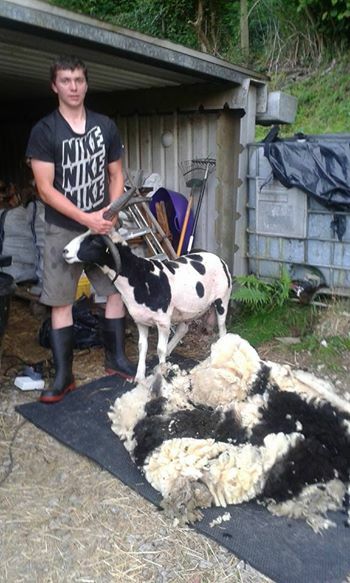 And my four horned Jacob Ram , my first customer after my sheep shearing course.